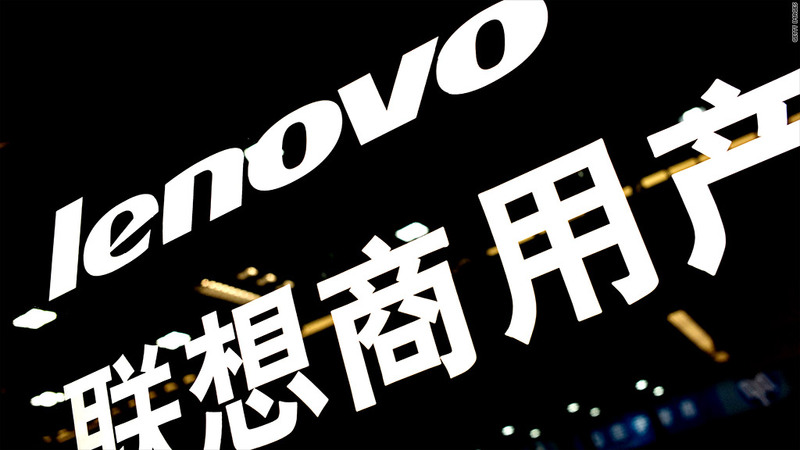 China-based Lenovo is the world's largest PC maker. After just a year and a half, Google is cutting the cord on Motorola Mobility. The search giant announced Wednesday that it will sell its Motorola Mobility smartphone unit to Chinese PC maker Lenovo for $2.9 billion, giving up on a business it purchased for $12.5 billion in May 2012. The deal was Google's largest-ever acquisition, giving it the ability to produce hardware to go along with its Android mobile operating system. But Motorola has been a perpetual money-loser, raising the ire of shareholders and Wall Street analysts. Google (GOOG) said it will maintain ownership of the "vast majority" of the Motorola Mobility patent portfolio after the sale. When Google bought Motorola, the company said it planned to use those patents to ward off lawsuits from Apple (AAPL) and Microsoft (MSFT) that threaten Android. Lenovo will be able to license those patents from Google. In a blog post announcing the deal, Google CEO Larry Page acknowledged that it doesn't make sense for his company to continue manufacturing phones itself. "[T]he smartphone market is super competitive, and to thrive it helps to be all-in when it comes to making mobile devices," Page wrote. "This move will enable Google to devote our energy to driving innovation across the Android ecosystem." Google also sold Motorola's cable box business for $2.3 billion to Arris in late 2012. Google shares rose 2% in after-hours trading. Related: Can Lenovo do it? Lenovo chief Yang Yuanqing said the deal "will immediately make Lenovo a strong global competitor in smartphones." In addition to being the world's largest PC maker, the company is already the No. 4 global smartphone maker after Samsung, Apple (AAPL) and Huawei. In a conference call with reporters Wednesday afternoon, Lenovo executives said the company will soon be able to sell more than 100 million smartphones annually, challenging Apple and Samsung. While its phones are already well-known in China and other international markets, Lenovo will continue to use the Motorola brand in the U.S. and Latin America. "We are confident that we can bring together the best of both companies to deliver products customers will love and a strong, growing business," Yang said. Lenovo announced another big transaction with an American company last week, agreeing to pay $2.3 billion for IBM's (IBM) low-end x86 server business. Page, for his part, said Google's sale "does not signal a larger shift for our other hardware efforts." Earlier this month, Google announced that it was buying connnected home-appliance maker Nest for $3.2 billion. "The dynamics and maturity of the wearable and home markets, for example, are very different from that of the mobile industry," Page said. "We're excited by the opportunities to build amazing new products for users within these emerging ecosystems."